Wait, Sofia Coppola Is Directing A Live-Action Little Mermaid? Photo: Courtesy The Walt Disney Company. Yeah, we were a little dumbfounded when we found out, too. Now, we're not throwing shade on Sofia Coppola, here. She's one of our favorite directors. We don't care what you say, Somewhere was amazing. 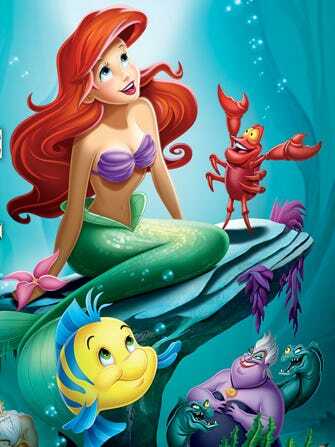 But, when we think about The Little Mermaid, we imagine the same things you do: a sweet redhead singing on a rock, the wonder of a fork, a crab leading an aquatic band in an underwater calypso number, all that. Indeed, we'd be hard pressed to find a director less likely to bring Ariel to the screen than the atmospheric, tonal Coppola.